The Hirshhorn Museum and Sculpture Garden was established in 1974 as a beacon of the art of our time. This year, the museum is celebrating its 40th anniversary with a series of exhibitions and projects drawn from and inspired by our expansive library collection including Salvatore Scarpitta: Traveler Days of Endless Time, and Speculative Forms, featuring installations that re-examine key moments and figures in modern and contemporary art. Since its inception, the museum’s library has provided critical service to the staff and the public. 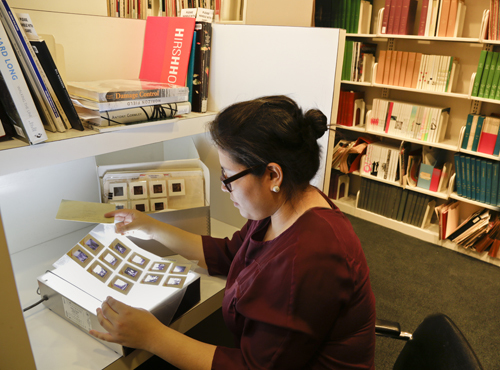 Librarians ensure the availability of books and files on artists in the museum collection, exhibitions, and programs. Researchers, curators, conservators, and the public rely on the Library to supply the most current resources. 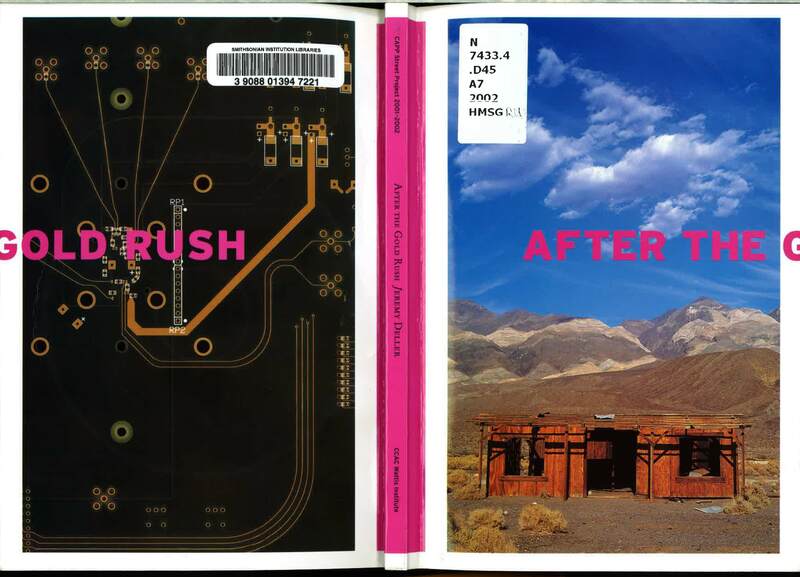 Cover of Jeremy Deller’s “After the Gold Rush” juxtaposes old with new. Jeremy Deller (British, 1966-) has been known for his art work that pulls his audience into actively discussing and confronting political, social, and historical issues. His video work English Magic (2012), on view now until August 2014 at the Hirshhorn Museum and Sculpture Garden, is an example of this dynamic. The film was selected for the British Pavilion at the 2013 Venice Biennale as the film served as a representation of British history through its interlacing imagery of the nation’s past and present. 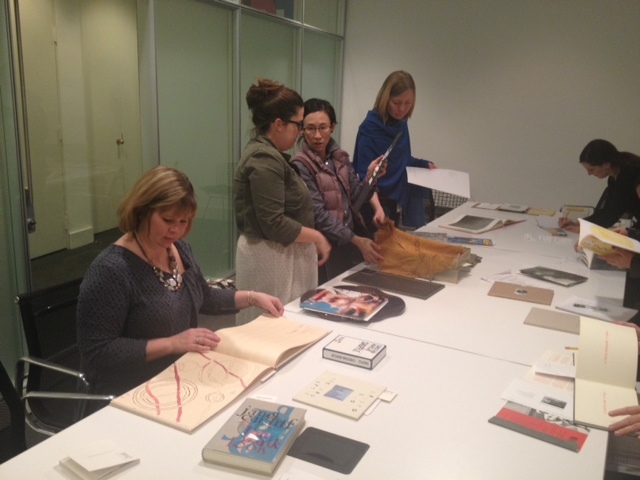 This post was written by Hirshhorn Museum and Sculpture Garden Library volunteer, Elena Grant. The Hirshhorn Museum and Sculpture Garden Library is working on getting the attention of area’s curators to Smithsonian Libraries’ resources on Latin-American art and connecting them with the Hirshhorn Museum team. Meet recent volunteer Julia Murphy! Hello! My name is Julia Murphy and I am currently a contractor at the Hirshhorn Museum and Sculpture Garden. My primary task is to ingest the Hirshhorn’s collection photos onto the DAMS, Smithsonian’s Digital Asset Management System, which acts as an online image database for long-term storage and access. In between contracts I found myself with a two-week break in January so I reached out to Anna Brooke, head librarian at the Hirshhorn Library, and asked if she needed any assistance. Although my volunteer time was short I tried to help in any way. 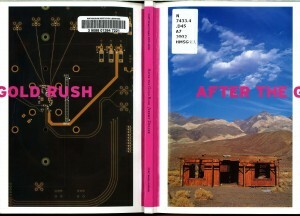 As a volunteer in the library I re-shelved books, repaired torn covers, and answered reference questions. A major part of my volunteer time was devoted to scanning slides for a curator who needed them for a presentation about a future exhibit. These slides included images not found online and were from her personal collection so they were valuable and needed to be digitized. Of the 70 the curator asked for, I was able to scan, edit, and share 50 of them. Continue ReadingMeet recent volunteer Julia Murphy! This was written by Hirshhorn Library volunteer, Elena Grant. 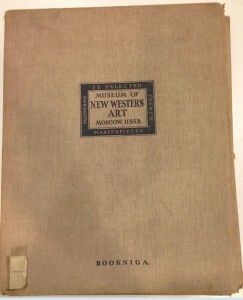 In the summer of 2013, while preparing donated books for cataloging at Hirshhorn Museum and Sculpture Garden library, we discovered an uncatalogued item—a 14 ½ by 11 ½-inch portfolio of reproductions titled 22 Selected Masterpieces: French Moderns, Museum of New Western Art, Moscow, USSR. 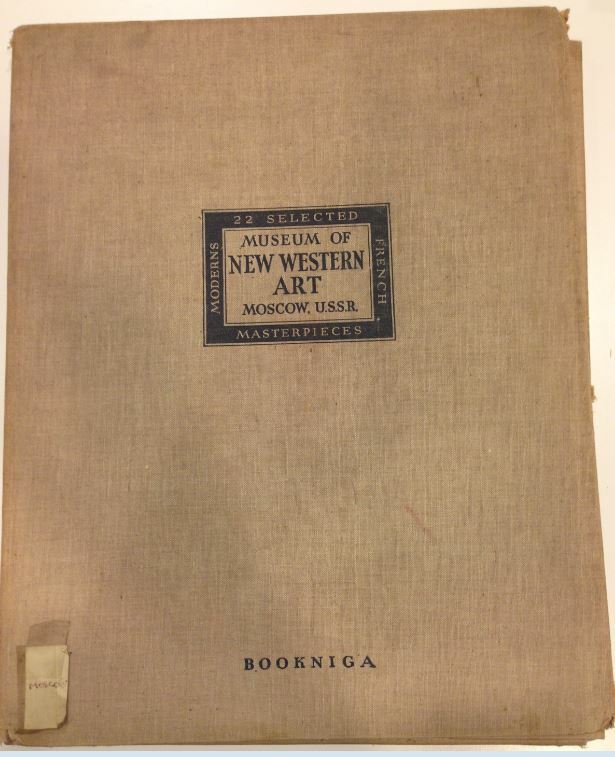 The unfamiliar publisher name “Bookniga” and name of the long-extinct museum in the title attracted our attention. We decided to investigate the story behind this old publication.